Today kicks off a 5-part series at LIA where we examine state lotteries in detail: how they work, who plays them, how they’re promoted, the money they generate, and more. We’ll specifically look at states that have education lotteries since that’s the proposal on the table here in Alabama. In Part 1, we’ll look at the basics. How state lotteries work, how the money is spent, and the effect of earmarking revenue. Lotteries used to be a big part of the culture in the early United States. During Colonial times, lotteries were used to fund various public works projects. During the 18th Century, Harvard and Yale Universities used lottery revenue to pay for building construction. By the 1870’s though, most lotteries (and other gambling) was outlawed across the country in reaction to bribery scandals involving state and local officials and the sale of fake tickets by lottery brokers. The modern lottery system began in 1964, when New Hampshire became the first state to implement a lottery. New York’s lottery began operations in 1966, then New Jersey, and other states quickly followed. By 2010, 43 states have lotteries. Alabama is considering becoming the 44th. And if we do, we must get it right! Initially, state lotteries were run like a raffle. You bought a paper ticket and sometime in the future – usually a week or more – there was a drawing. That sounds almost quaint compared the current systems that offer a plethora of games including scratch off tickets with instant wins, Keno-like games played at computer terminals, and huge multi-state lotteries offering long odds and enormous jackpots. Why have lotteries changed so? Boredom. Revenues typically expand dramatically after the lottery’s introduction, then level off, and even begin to decline. This “boredom” factor has led to the constant introduction of new games to maintain or increase revenues. Maintaining revenue is vital because state governments quickly become dependent on lottery money. It’s seen as a painless way to raise money without increasing taxes. “Nobody forces anyone to play the lottery,” the thinking goes, “so this is like a voluntary tax.” But when the volunteers begin to lose interest, state coffers suffer and so do the state services that depend on the money. Arizona: state General Fund, Healthy Arizona, mass transit, Court Appointed Special Advocates, and more. Indiana: proceeds used to support the state pension fund and to offset the motor vehicle excise tax. Colorado: purchase and protection of public lands with a small amount to school health and safety projects. Wisconsin: proceeds used for tax relief for property owners. Legislators have discovered that it’s easier to get the voters to approve projects or initiatives if the money is earmarked. That is, specific programs or functions are guaranteed to receive the proceeds of the bond issue, lottery, etc. That’s what makes lotteries for education so popular. Who doesn’t support education? And if we can raise money for education this painlessly, what’s the downside? It seems like a win/win for everyone. A study of the Illinois lottery found that state education expenditures in the 1980’s (before some lottery proceeds were earmarked for education) were 12% of total state revenue. Lottery proponents promised that lottery money would go directly to fund education, but that didn’t happen. In 1986, only $112 million of the $550 million in lottery revenues went to the education budget. Yet in Ohio, pouring lottery proceeds into education actually caused state spending on schools to shrink, according to a study by graduate student Thomas Garnett published by the Buckeye Institute in Dayton, Ohio. The study demonstrated that, after Ohio’s 1974 promise to devote all lottery winnings to public schools, state spending on education dropped from 42 percent of its total budget in 1973 to 29 percent in 1994. Tennessee diverted part of its education scholarship to make public schools more energy efficient. Now, the state is dealing with a shortfall in money available for scholarships. Wisconsin is considering diverting lottery money from property tax relief and using it to help farmers. North Carolina considered diverting money to temporarily fund teaching jobs. Earmarking or not, lottery revenues aren’t always spent like people expect and funding formulas often change over time. Voters and legislators have to be vigilant and watch how and where money is spend. and in 2007, Governor Schwarzenegger floated the idea of privatizing California’s lottery in exchange for a hefty lump sum payment that would help the state’s budget. This year, the state is considering issuing bonds to be paid for out of future lottery revenues. Using tommorrow’s lottery money to pay today’s bills means less money available for the state in the future. It’s kicking the football and leaving the problem for someone else to solve. Economic conditions: Lottery revenues usually continue to grow even in bad economic times – when big win is even more attractive to people struggling to pay the bills. But they don’t grow enough to offset the loss in other sources of state revenue. Like state governments that are heavily reliant on sales tax revenue, lottery states often feel the pinch when the economy tanks. When states institute lotteries, they become self-perpetuating institutions. No state has ever rescinded a lottery and most states have expanded their lottery/gambling offerings over time. How a lottery can change and how money is spent is usually decided upfront during the enabling legislation and public vote. It’s important work that often gets glossed over by a public eager to buy tickets and by legislators hungry for more revenue. 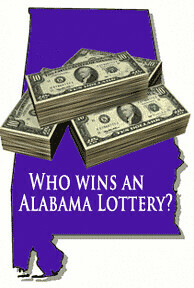 Therefore, it’s imperative that Alabama get it right the first time if we’re going to start our own state lottery! These bills and agreements can’t be done by lobbyists behind closed doors and every bit of lottery operations has to be transparent to the public. If our lottery promises to provide pre-K and college scholarships, then we must be vigilant in making sure that happens. Tomorrow, we’ll look at Tennessee, Georgia, and Florida lotteries more closely since the Georgia program, in particular, could be the model for an Alabama lottery. Part 3: Bright Futures & HOPE Scholarships – But Picture is cloudy for some state lotteries. Thank you for pulling all this information together. Legislators will only have a few months to pull together a lottery bill and it's so important for them to get it right. As I recall, Seigelman's lottery amendment failed in part because people were concerned it would be a gift to some special interests. That had better not be the case next time and we also shouldn't have a lobbyist-written bill on the table. Personally, I wish legislators had more in the way of research staff so they didn't have to rely on what lobbyists do for them. It's not a fix-all solution but every little bit helps. Another thing I think could generate a nice chunk of change is sports betting. Nice diary Countrycat. Thanks for doing the work.